Welcome to London! Upon arrival, you will go through customs and immigration. Should you opt to purchase a transfer to your hotel; a representative will be waiting for you as you exit immigration. Arrive at your hotel, check in and do not give in to jet lag! There is so much for you to see and do! Begin the afternoon with a traditional lunch of fish and chips in any of the quaint pubs to be found throughout London. 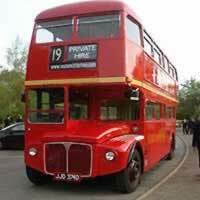 Afterwards, we recommend that you get acquainted with the city by choosing an optional tour such as 'The Original London Sightseeing Tour: Hop-on Hop-off' (red route), showcasing St. Paul's Cathedral, Tower Bridge and the Tower of London. As night approaches, make your way to Leicester Square, center of London cinema, for dinner and a show. This West End area is full of restaurants and bars sure to please every budget, with plenty of music and entertainment on hand! 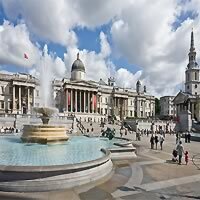 Wake up early today and head to Trafalgar Square to see Nelson's Column before going up the mall towards Buckingham Palace. Following the ceremonious 'Changing of the Guard' you will have time for lunch and a leisurely stroll through St. James Park. Remember to cross the bridge at the middle of the lake for one of the best views in all of London. At the eastern end of the park is Horse Guards Parade. Walk through the central arch into Whitehall where you can have a bit of a laugh trying to make the sentries smile or just snap a quick pic with one. Continue down Whitehall past No. 10 Downing Street to see if you can catch a glimpse of the Prime Minister then make a brief stop at the Cenotaph before moving on to Parliament Square. 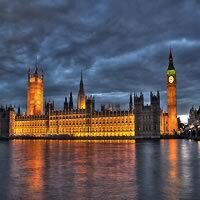 Following your visits of Big Ben and the Houses of Parliament cross over the square to Westminster Abbey, London's most prestigious religious building. As the setting for coronations, state funerals and the burial place of many famous kings, queens and writers it is definitely not to be missed! 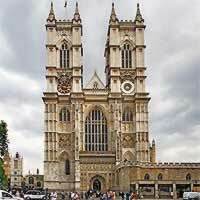 After a busy day of sightseeing, why not experience high tea at the Cellarium Café at Westminster Abbey? Then walk off those scones as you stroll across Westminster Bridge for a ride on the London Eye. We suggest you buy your tickets early to avoid heavy queues. 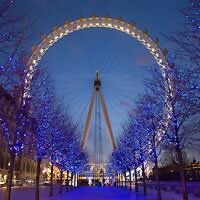 Our optional tour 'London Eye and Thames River Sightseeing Cruise' is a favorite! 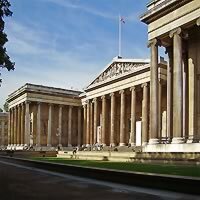 Begin your day at the British Museum (free admission). Established in 1753, it is home to nearly 8 million works from all over the world and is one of the largest and most comprehensive collections dedicated to human history and culture. Following your visit of the museum, head to Covent Graden for an afternoon of shopping and a bite to eat whilst watching the local street performers. Next stop is the National Portrait Gallery, where you can gaze upon the likenesses of historically important and famous British men and women from the 16th century through the present day. The Gallery's collection includes over 195,000 portraits including the Chandos portrait of William Shalespeare as well as photographs, drawings and sculptures. On your final night in London, make your way to the bright lights of Piccadilly Circus to see the Shaftesbury memorial fountain and statue of Eros. Have a casual dinner at one of the local pubs and perhaps catch a show (if you have not already done so) at the Criterion Theatre or in nearby Leicester Square. Should you be able to spend additional days in London then be sure to visit the National History Museum and the Victoria and Albert Museum. Afterwards enjoy a spot of tea and some fashionable (albeit expensive) shopping at Harrod's. If you can't spend your cash - then definitely spend your time - strolling through beautiful Kensington Gardens (with its Princess Diana memorials) and neighboring Hyde Park before heading to Marble Arch and Oxford Street. Alternatively, you can spend the morning exploring Victoria Embankment Garden's and Cleopatra's Needle before hopping a river cruise to Bankside for a visit of Tate Modern, Shakespeare's Globe Theatre and Bankside Gallery. Be sure to check out the Millenium Footbridge before exploring South Bank, including the London Aquarium and London Dungeons. Day trips from London are a welcome respite from the hustle and bustle of the city. 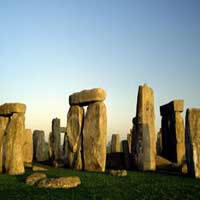 Always popular is our optional tour 'England in One Day: Stonehenge, Bath, the Cotswolds and Stratford-upon-Avon Day Trip from London'. 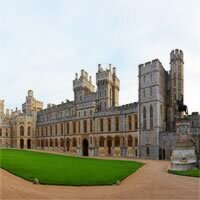 Or if a taste of the English countryside is what you are after then may we suggest the 'English Countryside Day Trip from London Including Windsor Castle', which has been continuously occupied for nearly 1,000 years (a record). Whatever your pleasure, be sure to check out our optional sightseeing tours for availability and prices.